A publisher’s emblem or imprint, or a historical statement at the end of a book or project, giving information about its authorship, processes and content. This is an area where I will expound upon the technology and philosophies that drive my own particular pursuit of photography as art. There are many thoughts as to what makes art, usually the most vocal proponents of one thought over another are those who create that particular type of art. I am of course no different! So let the games begin..! Its true, my camera systems are getting smaller and lighter but the image quality is growing! Happy happy happy! With the loss of 80% use of both my hands and arms due to a surgery gone bad, this is a good thing! I have been searching for the perfect small camera system that would best fill my needs. I have been through all of the Sony NEX cameras (ice) and about 7 of the various micro 4/3 systems. I do like those very much and decided upon a Panasonic GH2 as my main IR camera system at 590nm and I have an Olympus OMD with its long reaching lenses and great and fast focus system for those times that I desire to go out and play with birds. But my main true love has to be the Fuji X family of range finder style cameras! The X-Pro 1 (destined to be my next great IR camera) and the X-E1 which is my main color system. The Fuji’s fill every need of mine for 95% of all my photography. The 5% that it fails at is high speed work like birds in flight, but the OMD works well for that. I have gone from 100 pounds of camera equipment in a backpack to about 5! As I said, happy, happy, happy! 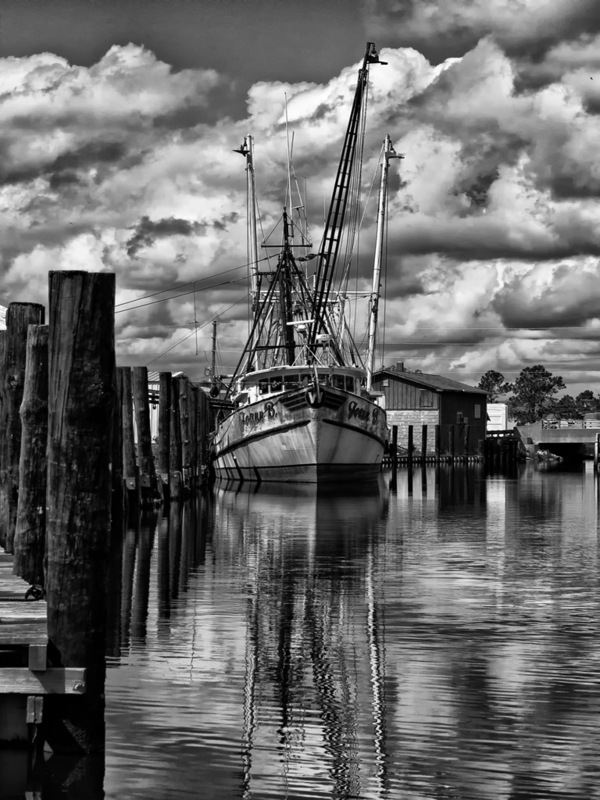 The willingness to stand in place and actually see your surroundings, design the image in your mind then use your photographic skills and the camera as a creative tool to actually make the image happen. 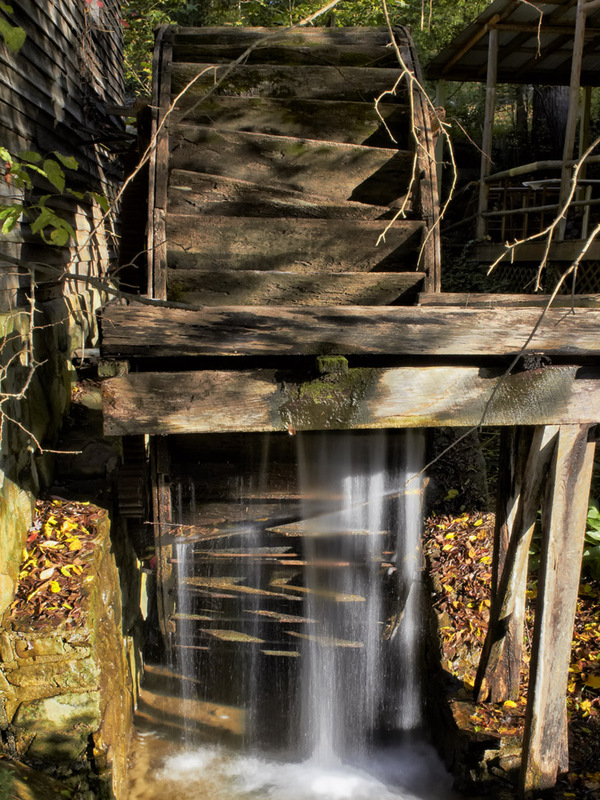 The 2nd image is a detail shot of a grist mill in TN. 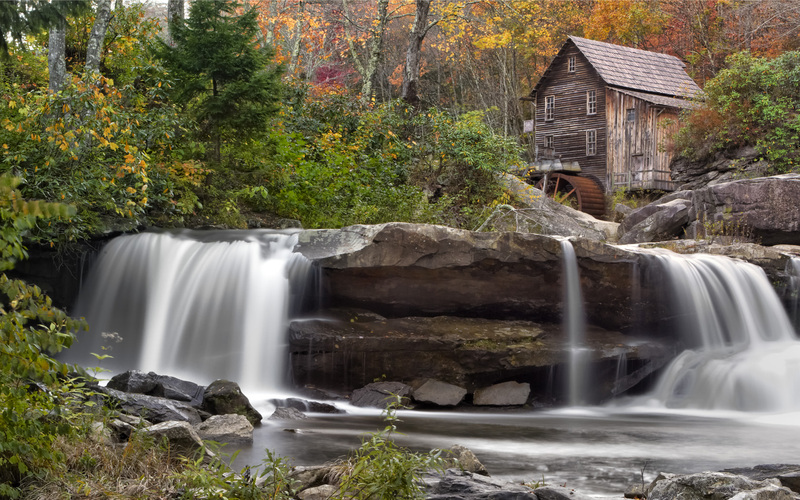 The image might seem plain, but the mill was in an impossible position and lighting to photography properly. So I moved in closer to look at details. This is when I noticed the moving water coming off the bottom of the wheel! I can sit and look at this image for hours and each time I approach it I can see and find something new in it that I didn’t notice in past viewings! Think about these things as you find yourself standing out in the wild behind the camera and you will find that your portfolio of effective emotional images is enlarged!